Happy Day! As I look out from my desk on this towering high rise building, I have an amazing view (minus the lego-looking buildings) of Central Park. The trees are still green but there are patches of the yellow and reds coming through to let me know that Fall is here. Inspired by the green, I put together this outfit. I’ve filled my closet up with colorful slacks for the season so I can step out of the monotone of black, blue and grey suits in the office. Simple and sweet accented by a statement bib necklace! This is my outfit worn below. 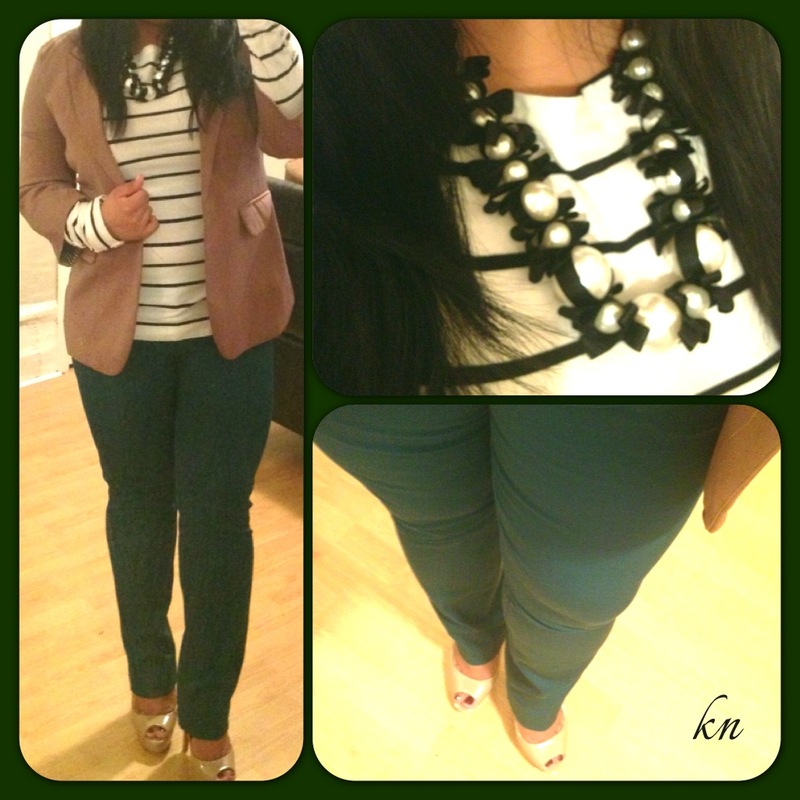 The difference is that I wore a quarter sleeve blazer but i liked how my striped long sleeve top came pass the sleeves. Does Fall inspire you to keep bold colors in your wardrobe? Share you personal fave hues below!